Maybe your Naturopathic Doctor has recommended you try a Paleo diet with grass-fed meats for your Fibromyalgia and you are so tired of being in pain all the time that you are ready to try anything. Maybe you are sick and tired of your long list of food allergies. Have you decided to try the GAPS diet to heal your gut? Do you want to feel better by enjoying non-gmo fed, corn and soy free meats? This kind of craft food isn't the kind of thing you'll find in your neighborhood supermarket. We don't take any shortcuts when it comes to quality. All of our animals are raised in the open air on green grass as nature intended. 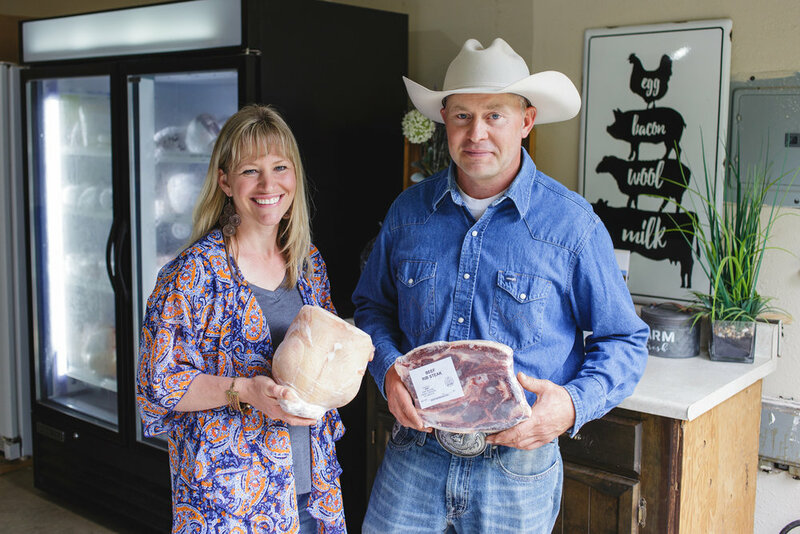 We take the time to let our beef and lamb finish on grass, our pigs and poultry live on pasture and are fed a non-gmo, corn and soy free diet. We know that healthy happy animals raised on pasture mean more nutrient-dense meats for your family. We love getting to know you when you visit the farm store. We enjoy hearing how real food is improving your health and your life. We have beef, pork, lamb, chickens and eggs in stock.